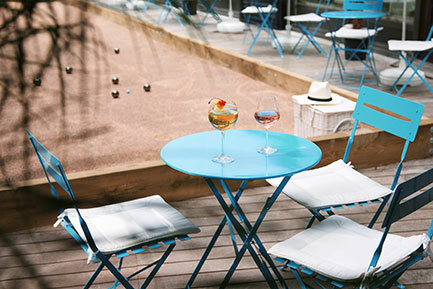 Boasting a proper pétanque lawn hidden on the patio of the hotel, with tables and deckchairs perfect for a glass of wine, the Méridien Etoile sets about preparing itself for sunny aperitifs. For these “Summer soirées”, which last until the end of October, the Méridien Nice has been solicited for its expertise in this area. The chef of La Terrasse restaurant, Eric Brujan, has dreamed up a tapas menu to share between two whilst the soundtrack to these evenings has been entrusted to bossa nova group Nouvelle Vague. Perfect for immersing yourself in a Mediterranean atmosphere. B.D.